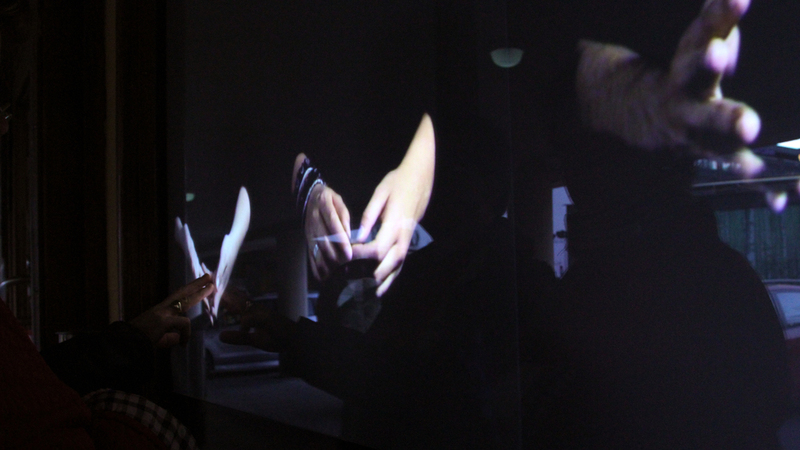 In the video sequences the participants perform their particular ways of being in front of the camera, while the image is framed onto their hands. 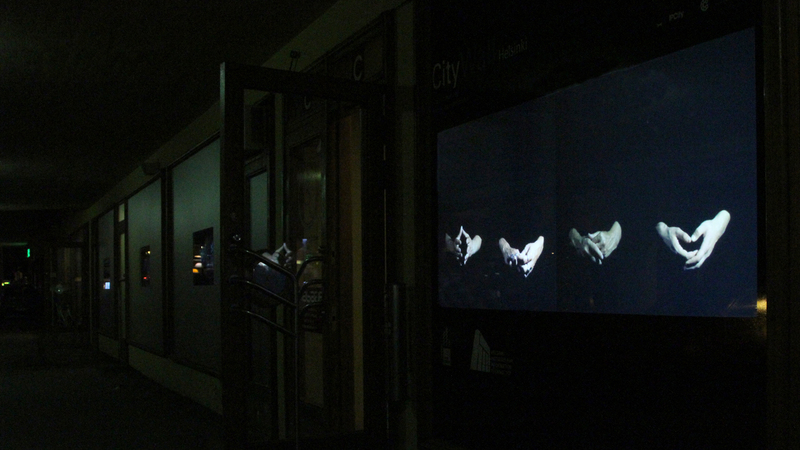 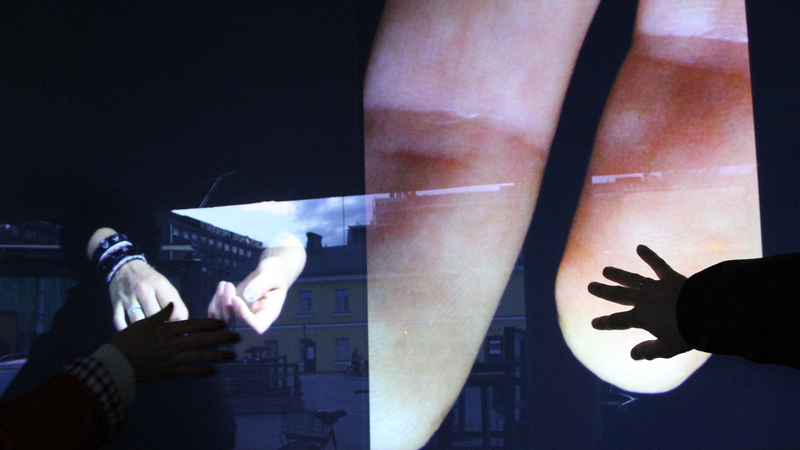 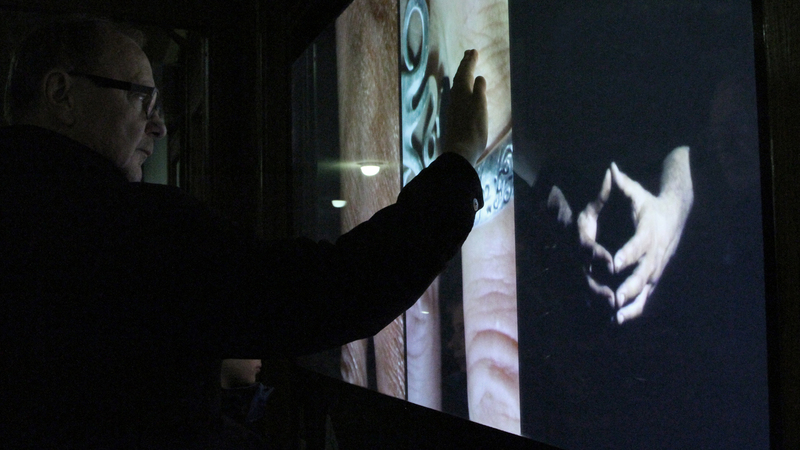 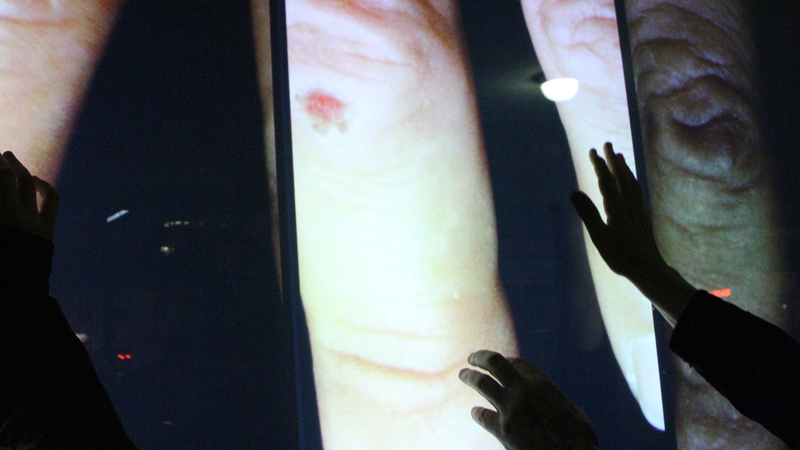 The system represents four randomly chosen pairs of hands from the video archive on a large multi-touch screen. 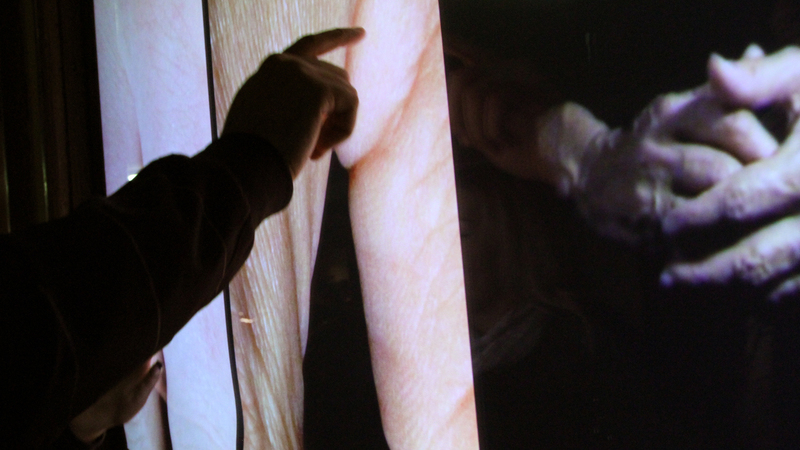 Touching any pair of hands reveals a close-up image of the skin, which one may explore in detail by moving one’s fingers across the image. 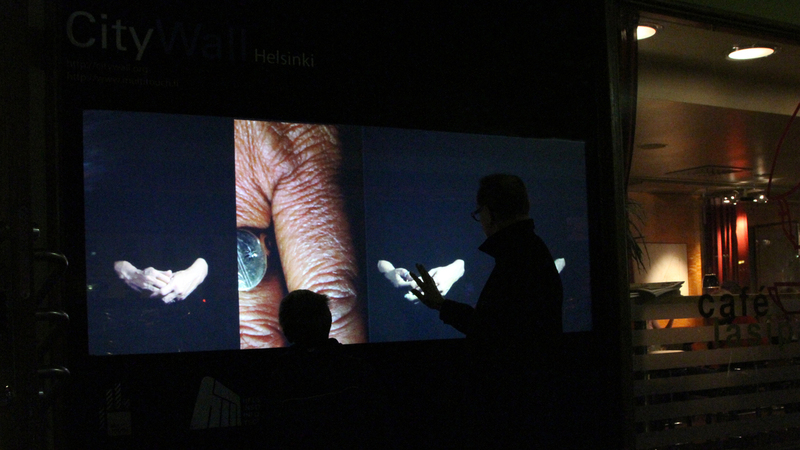 The installation was co-produced with the Crucible Studio at the Aalto University School of Arts, Design and Architecture and m-cult and in collaboration with MultiTouch Ltd.